A-1002, Yihe International Mansion, No.10 Hongkong Middle Road, Qingdao, China. 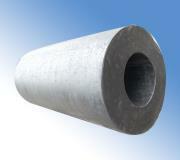 Rubber Fenders Rubber fender kinds: extruded rubber fenders and moulded rubber fenders 1. Our small rubber fenders are extruded.The biggest extruded rubber fender is 120mm*120mm.It could be any size and shape.The material is SBR/EPDM.The price is higher than moulded rubber fenders. 2. Big rubber fenders are moulded. It could be any size and shape.The common shapes include D-shape, DY-shape, DD-shape, cylinder fenders ect..The meterial is SBR/EPDM.The mould cost is on buyer's account. Copyright © 2015 Taiwan Okin Huasu Group Limited All Rights Reserved. Taiwan Okin Huasu Rubber offers a wide varieties of Rubber made products which are widely used in many places. Our Rubber Fenders are the most welcome product which has been well sold all over the Asia countries. Meanwhile the Rubber and Plastic Seals/Extrusion Profiles , Rubber Sheet, Rubber Fenders, Foam Sheet, O-rings, Mouded Rubber Products ,we sell are also very welcome for its competitive price.